The nearly $5 million project to reconstruct the road has been in the works for years and is set to begin in April and last through the middle of October 2018. 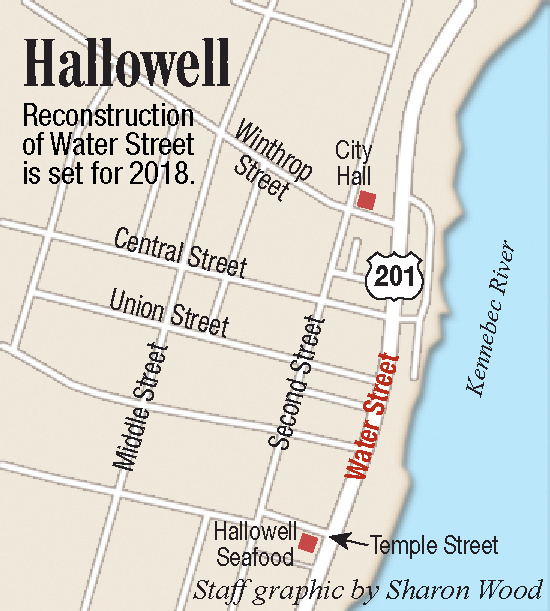 Maine Department of Transportation officials will provide an update on next year’s Water Street reconstruction project during a public meeting Wednesday evening in Hallowell. The meeting begins at 6 p.m. in the City Hall auditorium. Project Manager Ernie Martin said Monday he was invited by the city’s Highway Committee to talk about the work and whether anything has changed in the plans. The state plans to begin reconstructing an approximately 2,000-foot stretch of the busy corridor — part of U.S. Route 201 — April 2. Martin has said the hope is that the work will be completed Oct. 26, 2018, with surface paving completed over four days in June 2019. Martin said, just as he told about 40 people during a meeting in April, that work on the east side of Water Street will start April 9 and last about 12 weeks until June 29; work on the west side of the street is set for July 16 to Sept. 14. Martin said the plan calls for the contractor to work on side streets in between working on Water Street, and there will be no work or detour during Old Hallowell Day on July 21. Contractors will work Monday through Thursday from sunrise to sunset and from sunrise to 3 p.m. Friday. Martin said there may be five 24-hour work periods at the intersections of Temple and Water streets and Winthrop and Water streets, but that won’t be determined until the project is underway. During the April meeting, Martin said the transportation department’s plan includes creating up to 19 temporary parking spaces on the railroad corridor between Winthrop and Central streets. Martin said Monday those spaces will be ready and that he plans on recommending the city hold a lottery and make them permitted spots. The tracks will be covered with fabric and gravel, and Martin said he couldn’t say what would happen to the spots after the project is complete. The state will begin the installation of two drainage pipes near the waterfront soon. The plan was to install three new pipes, but a camera showed a pipe on Winthrop Street to be in good condition, Martin said, so that’ll save time and money. “The good news is that this work will get done in the fall and we’ll get started right away on Water Street and won’t have to do that stuff next year,” he said. The Water Street project is estimated to cost nearly $5 million and will reduce the crown in the road. In April, Hallowell voters approved a $2.36 million bond package that included $600,000 toward the Water Street reconstruction. Last week, Hallowell broke ground on a new fire station on the Stevens Commons campus. Mayor Mark Walker said it will be finished before the reconstruction of Water Street begins. The detour during the reconstruction will take drivers past Hallowell’s current fire station on Second Street. If the new station isn’t finished, the increase traffic on Second Street could be a problem when fire trucks are trying to leave the station. Since plans for the project were announced several years ago, downtown Hallowell businesses have been expressing their concerns about what impact the road work may have on their business. 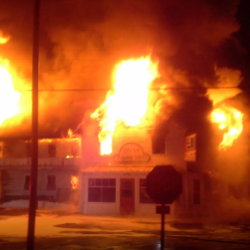 Some business owners have even admitted their business may not survive the reconstruction. Martin said there is uncertainty for businesses as with any construction project, but he’ll bring plans Wednesday to show how the state will work to maintain access to and from businesses. “We’ll do our best to minimize the impact,” he said. 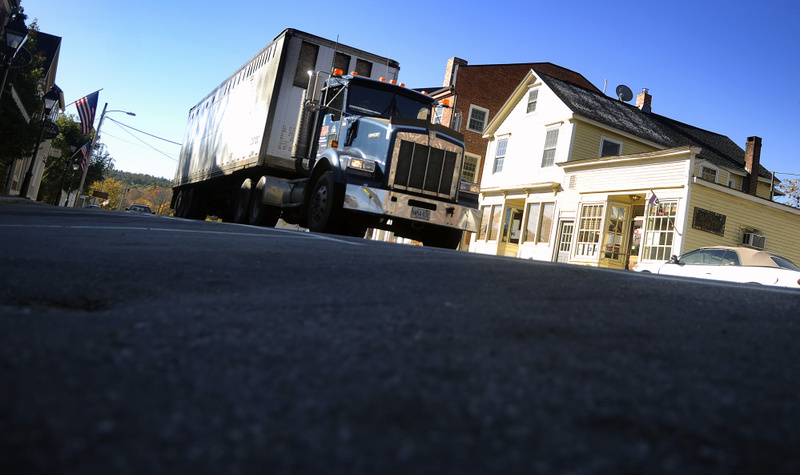 Communication between transportation officials and Ogunquit town staff, residents and business owners was the key to the success of the project. Transportation department press secretary Ted Talbot said the communication channel has to be wide open. For the Hallowell project, Martin said the Hallowell Board of Trade, Highway Committee and city officials will liaise with a communications person at the transportation agency. “Outreach is key,” he said. Martin said he expects to hold another meeting in Hallowell in December to go over the final plans for the project before the work is put out to bid in late January.